Daily Court Coverage from The Court of Session, The High Court and The Sheriff Court in Edinburgh, Scotland, UK and Nicola Sturgeon first being sworn in. ©LesleyDonaldPhotography- KIRKING OF THE JUDGES AT ST GILES CATHEDRAL TODAY. 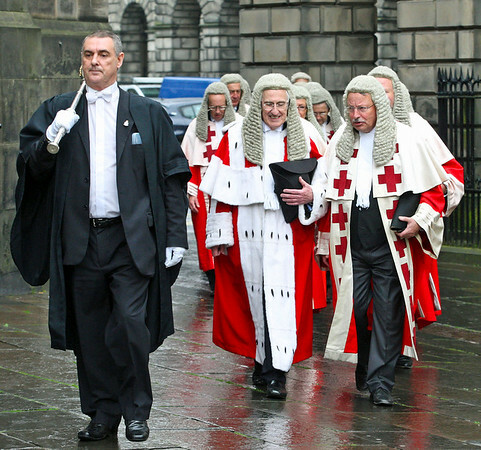 THE JUDGES WERE LED BY LORD PRESIDENT LORD GILL AND LORD EASSIE.